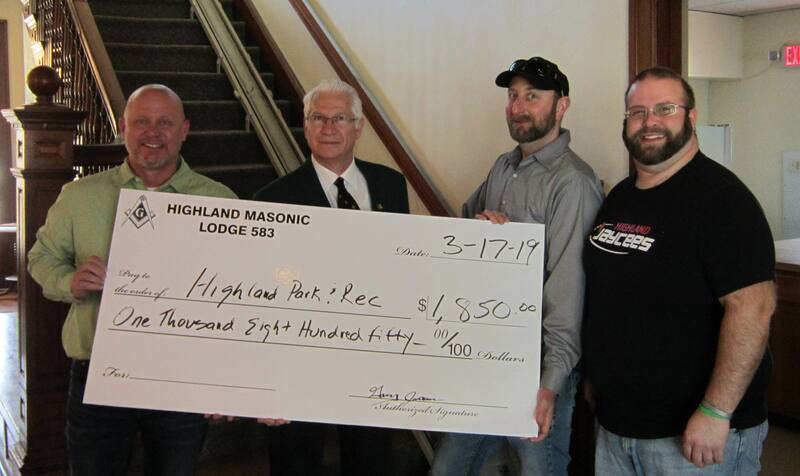 The Highland Masonic Lodge and Highland Jacees held a “Are you Smarter than a 5th Grader Trivia Night” last fall. Parks & Rec. Director Mark Rosen accepts the $1,850.00 check from Master Gary Jascur, Br. Chris Ebl Trivia Chairman, & Adam Voshaller, Highland Jaycee President.